How can I sell my brandable names fast ? The honest answer ? You can’t. At least you can’t consistently at retail pricing. Most of domain discussion focuses on outlier sales, because there is no way to know the ins and outs of every portfolio. A lot of brandable domains have been held for years or the name has been dropped several times. So there is an element of luck, both good and bad. Good for the new registrant and bad for the several who dropped the domain. So let’s look at some brandable names that did not sell fast or were dropped several times before eventually selling. I have seen some names drop 6 or 7 times. TechTemple.com sold for $16,000, a great name IMO. Tech is a popular selling keyword, add in the alliteration with this one just makes it all the better. The seller was out of Korea, the domain was registered in 2005 by a registrant in Oregon. The name dropped twice before 2005. The Oregon registrant looks to have sold it a year later to the Korean company. The Korean company buys and sells domain names. Took 10 years to sell and this IMO is a better brandable than most listed on any brandable boutique. Noote.com sold for 4,000 Euros, a play on note and a naming pattern that has seen an uptick on BrandBucket lately. There are many names getting approved that are repeating a letter in the middle or the end. I tend to get the ending better, a name like Fiverr makes more sense to me than Fiiver. The name has been registered since 2006 and dropped three times before. CreditFit.com sold for $2,899 this was a buy it now listing. They probably left some money on the table as CSC handled the purchase for their client, OneTechnologies who actually uses a .net as the .com is developed and trademarked. 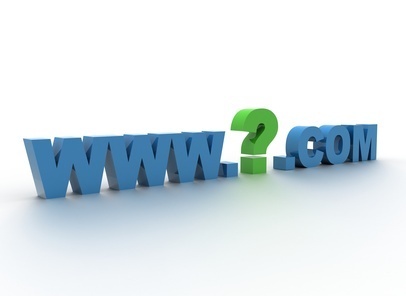 The domain has been registered since 2002. Hyst.com sold in July of 2015 it was registered back in 2002, so it took 13 years for the right buyer to come along. CherryMobile.com was sold for $3,688, the domain was registered in 2005 after it dropped three times previously. SkyHour.com sold for $3,500 in June of 2016 and was hand regged in 2015. It dropped three times previously. The thing with brandable domains is how long do you hold onto them ? Personally I would have continued to renew TechTemple.com for as long as it took to sell. SkyHour.com would be maybe ? I don’t hate it and I don’t love it. The key in my opinion is to be selective and not own hundreds of average brandable names. Here is a recent sold name on BrandBucket, Kangora.com it was registered in 2016, it had dropped 3 times previously. $1,795 (according to DNBolt.com not confirmed by BrandBucket), for a handreg it not too bad. I can understand how the previous registrants dropped the name. The drops took place over a short period of years too, according to Domain Tools the name was regged in 2011 for the first time. So each registrant was willing to give the name a year or two and then just drop it. So good luck for the last registrant and bad luck for the others as it didn’t take a decade to sell. 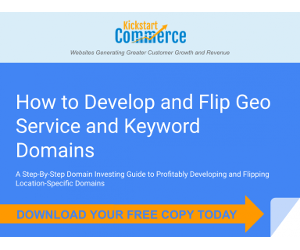 When you own a generic domain or a short domain, you know you have a market, you know you have something of value. The key with brandable domains is to be selective and not go overboard because you have little to no aftermarket liquidity. Hey Ray – Great article! Here’s a little more insight behind the Kangora sale, that ties into your recent, ‘Wholesale speaking, the bloom is off the BrandBucket rose’ article. I regged this domain for $8.67 via GoDaddy DDC the same day it dropped in February. I sold this domain in package of 190 mostly hand regged bb approved and published domains for $4k at the end of June 2016. ($25 per published domain & $15 per approved) This domain was sold unpublished. Since the sale, the member has sold two from the package, the other being Thingzo(.)com. Another member tried to pluck Kangora and Luniza from the package at reseller pricing, however, I wasn’t interested at reseller pricing unless it was a bulk purchase. Interesting enough, I sold a package of 103 mostly hand regged bb domains to this same seller a week before registering Kangora for $20 per accepted, and $30 per published. Until recently, bb domains sold like hot cakes on NamePros, and it used to be common practice that if you wanted to sell a brandable quickly, get it approved, then resell it on NP for a quick flip. These domains still sell on NP, though nowhere near as fast, and for as much as they used to prior to dilution, and sales inequality issues. I’ve said it before, and I’ll say it again, despite my constant bickering about their marketplace, they really are GREAT at what they do, and are the industry leader (for now). That said, I still think it’s a shame they continue to profit from some domainers listing fee’s while insiders list for free. I mean, point blank, if they pay their designers $5 per logo, and pocket the logo success fee, why the need to charge $10 listing fee’s AND $100 – $500 after their 30%. Listing fee’s are no longer recoupable like they once were. Great Article. I’ve been buying quite a few of brandable domains hoping the right buyer comes along. I have a few offers and I think I can sell it for more if I hold out.